There’s not much that’s more popular on a cruise ship than drinking. Bars are everywhere and the party atmosphere mixed with the relaxation of vacation means the booze is flowing. It almost feels wrong not to be sitting poolside with a drink in your hand. But the truth is that drinks can add up on a ship. If you are a steady drinker, it’s not hard to spend $100 or more on drinks per day. Thankfully the cruise lines have rolled out drink packages. These packages allow you to pay one set fee per day and drink as much as you want. Note: Some cruise lines limit the amount of drinks per day. For example, Carnival only allows 15 drinks per 24-hour period. Below, we have a calculator that can help you figure whether or not a drink package is worth the money. Simply select your cruise line and estimate the number of drinks you’ll have per day to see what it would cost to purchase them individually. Since there are so many different prices among drinks, we’ve used estimated average prices to give you an idea of what you might spend. Compare the amount you’ll spend each day above with the cost of each drink package per day. Keep in mind that this is an estimate based on average prices. Want to know more about drink packages? While they sound simple, there are actually a lot of rules on which drinks you can buy, when you can purchase, and much more. Read our article here to learn everything you need to know. Does everyone in a cabin have to purchase a drink package if one person does? 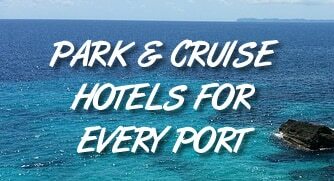 This depends on your specific cruise line. Some cruise lines make all adults in a cabin purchase a package if one person does. This is the discourage drink sharing. Other cruise lines have no problem with only one person purchasing. The rules change regularly, so you’ll want to contact your cruise line for more details. Can I share drinks using a drink package? No. No cruise line allows sharing of drinks on a package. If caught sharing, you could lose your drink package. Can I purchase the package for just some days? No. Drink packages are sold for the entire trip, not just some days. That means if you are on a week-long cruise, you can’t just purchase a drink package for a few days.